Every year, on November 3, sandwich lovers take a day to celebrate what happens when you put delicious things in between two slices of bread. 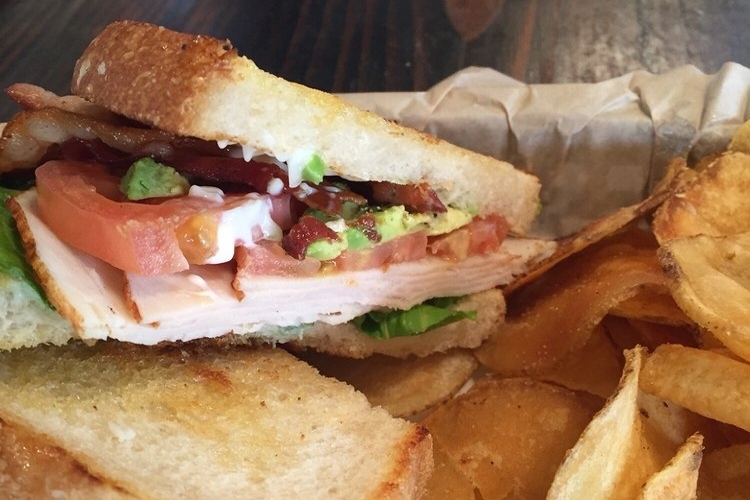 If you're looking for Fresno's best places to celebrate National Sandwich Day, we've got you covered. 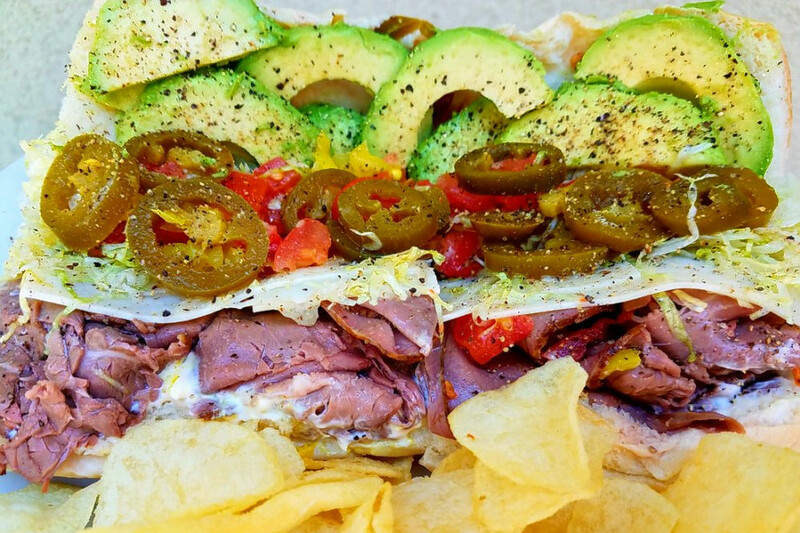 Using both Yelp data and our own methodology, we've rounded up Fresno's top sandwich joints. And remember, there's no rule that says you can only eat one sandwich a day. It's no surprise to find Rocket Dog Gourmet Brats & Brew topping the list, for although it's named for its gourmet sausages, its many sandwich options have also earned Yelpers' stamp of approval: 4.5 stars out of 709 reviews. 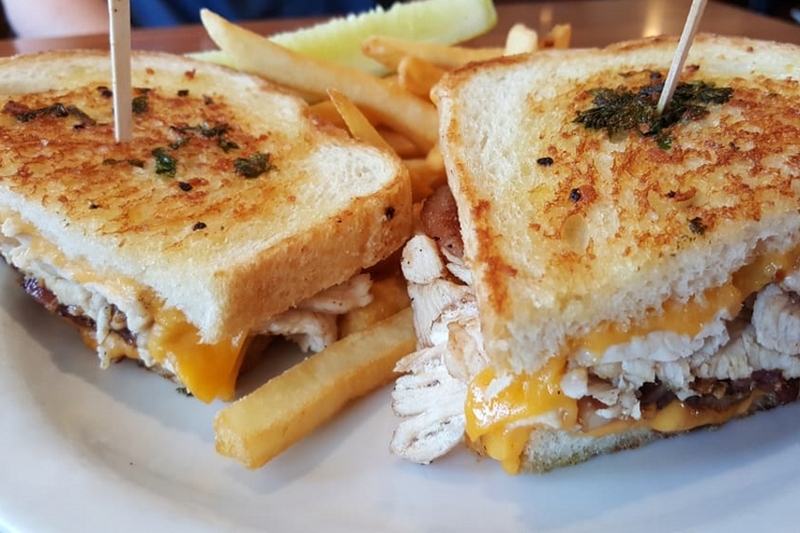 On the menu, popular options include the Lucky Luciano Italian sausage sandwich with marinara, grilled peppers and onions, and mozzarella cheese; and the Clucking Cowboy breaded chicken sandwich with bacon, grilled onions, barbecue sauce and cheddar. The spot also sells craft beer to accompany its subs. Next up is Northwest Fresno's Red Apple Cafe, situated at 488 W. Herndon Ave. With 4.5 stars out of 660 reviews on Yelp, the breakfast and lunch-only cafe has proven to be a local favorite. Yelpers praise the generous portions and good selection of its sandwiches, which come with fries. Its California club and Philly cheesesteak with onions, bell peppers and jack cheese are popular choices. 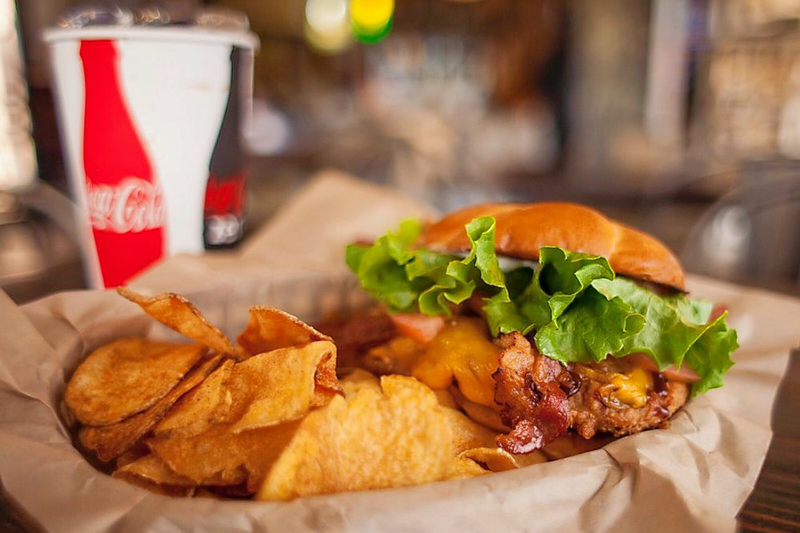 Northeast Fresno's Mike's Grill, located at 6642 N. Cedar Ave., is another top choice. Yelpers give the barbecue joint that bills itself as "the best tri-tip in Fresno" 4.5 stars out of 387 reviews for its tri-tip sandwich especially: over half of reviewers mention it specifically. 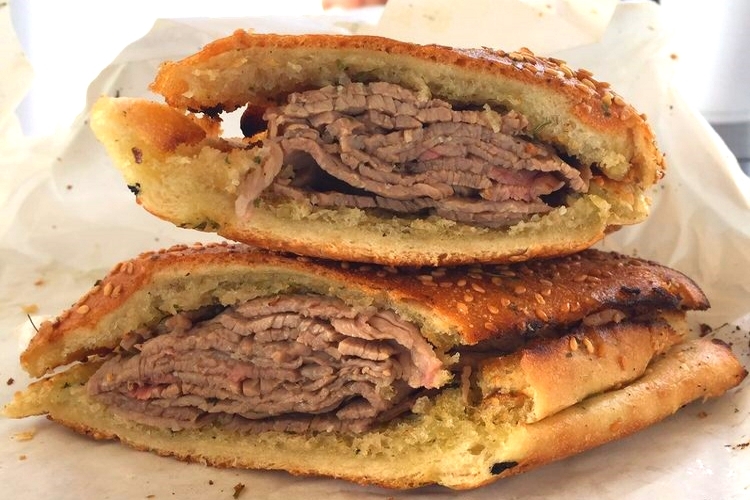 The generously packed tri-tip sandwich comes on a garlic toast French roll, and comes in regular and jumbo size. Or check out the pulled pork sandwich, also on a garlic buttered French roll, with barbecue sauce and coleslaw. 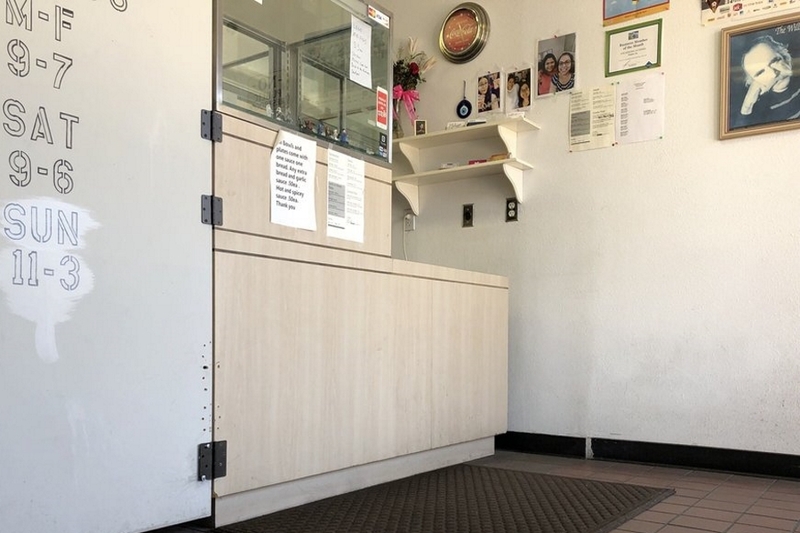 Hye Kebobs & Catering, a takeout and catering spot in Northwest Fresno, is another much-loved go-to, with five stars out of 104 Yelp reviews. Although it primarily serves its Mediterranean food in platters and combos, it makes this list for how much Yelpers love its chicken pita sandwich. Head over to 3028 W. Bullard Ave. to see for yourself. And over in Northwest Fresno, check out Geno's Sandwiches & Salads, which has earned 4.5 stars out of 221 reviews on Yelp. You can find its classic Italian subs, including the hot pastrami sandwich, the meatball sandwich and the veggie avocado, cream cheese and jack sandwich, at 1615 E. Ashlan Ave.